I subscribe to theory that this kind of granularity in any rating system is unnecessary. You only need three at most: good, bad and neutral, if you must. Over enough time that'll average out and give you something meaningful. For the record I chose Excellent though, in my heart of hearts, I felt is was merely Good. 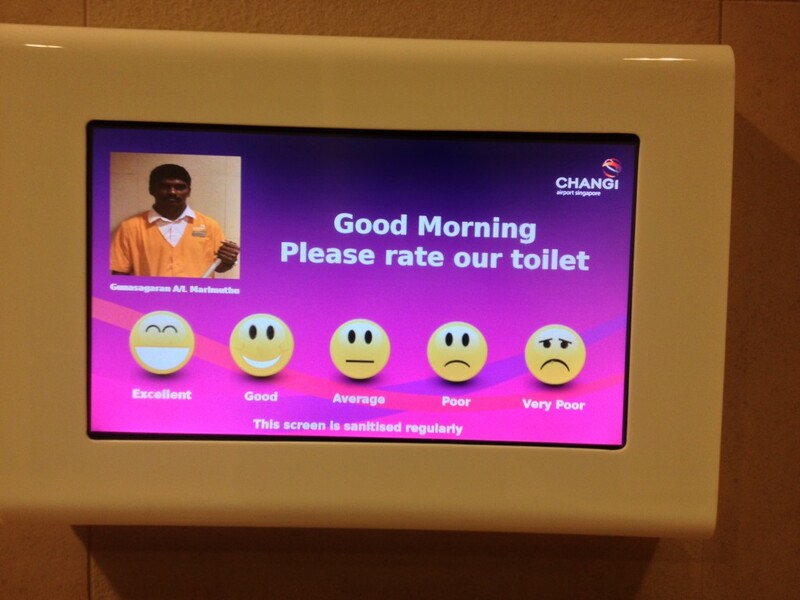 The extra boost must've come from the good mood I was in knowing that the ratings screen was sanitized regularly.